In my childhood, I used to play Mortal Kombat Game. This Spot the Differences Picture Riddle is dedicated to this fighting game. In this Picture Riddle, there are two fighters locked up in Mortal Kombat. These two fighters looks exactly alike. 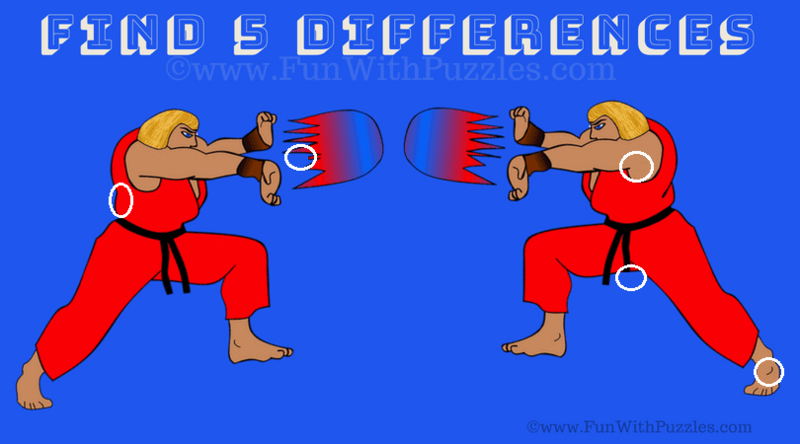 However there are five significant differences in these two puzzle images. Can you quickly find these 5 differences? Can you spot the 5 differences in this picture riddle? 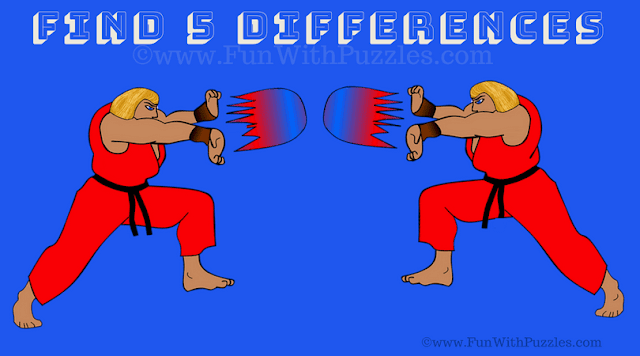 Answer of this "Spot the Differences Picture Riddle for Teens", can be viewed by clicking on button. Please do give your best try before looking at the answer.